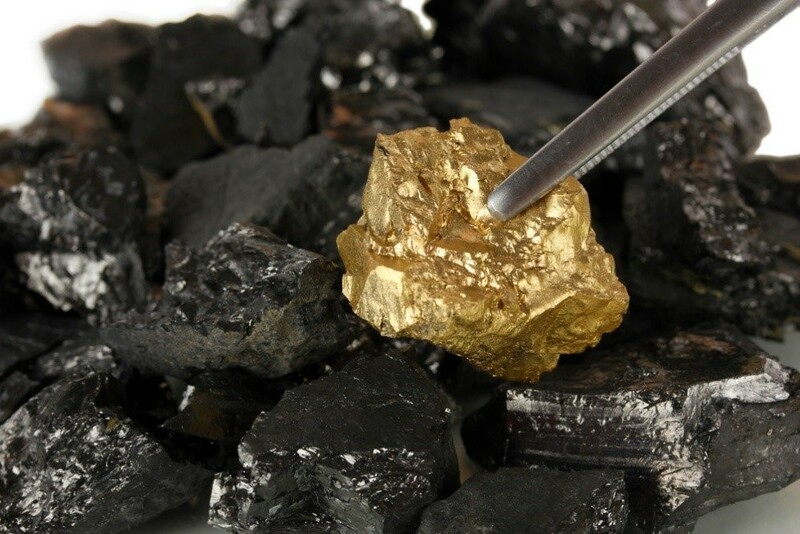 Investing in commodities, such as coal, gold or oil, can be difficult for investors. 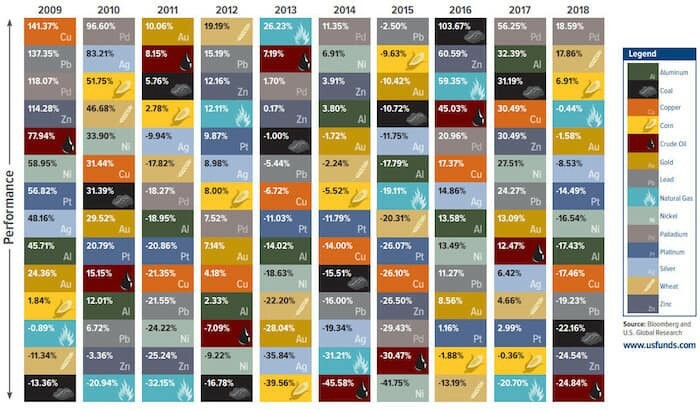 A major reason for this is that unlike stocks and bonds, commodities are not readily transferable and easily accessible to the average investor. Further, the complex way in which they trade through the futures and options markets can be a hurdle. In other words, an investor can’t just buy a barrel of oil. With the rise of Blockchain technology, tokenizing commodities can be a reality. Commodities are in general raw materials or goods that are grown or mined. The commodities market is where they can be bought and sold, such as precious metals, gold, coffee beans, oil, grains, energy, etc. People have been using physical commodities all around the world throughout history as forms of representing and storing wealth. Today, with large corporates, commodities trade on the stock exchange, with trades in the millions of dollars worth changing hands constantly. Gold is more accessible to the average person, since its purchase gold bullion (gold in its physical form), from a dealer or, in some cases, from a bank can be easily facilitated. A solution is exchange-traded funds (ETF) that mirror the movements of the underlying commodities, giving investors direct investment opportunities. 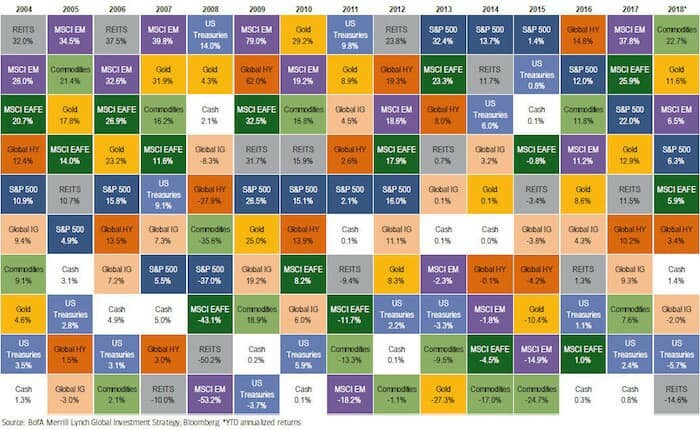 However, not all commodities have an ETF. For example, gold — each share of the ETF represents one-tenth of an ounce of gold, so if gold is currently USD1,300 an ounce, the gold ETF will trade at $130 per share. This investment product is one of the easiest and least expensive ways to access the gold market. To note, an ETF that tracks a specific industry or sector such as an oil services ETF is prone to high volatility, representing underlying risks associated. Liquidity to that extends also place a role to consider. How can Blockchain Technology Benefit the Commodities Market? Blockchain has the potential to revolutionize how commodities are mined/ harvested, delivered, funded and traded. A gold nugget, for instance, travels a long way along its supply chain, from mine to end consumer. Legal frameworks, regional regulations, manufacturing, and retail, each of which might have its own ledger system, cost, and potential security flaws. Blockchain-based platforms and cryptocurrencies promise to improve the way the commodity-trading industry operates, addressing issues of trust, their inefficiencies and the complexity of transactions, which typically involve multiple parties. 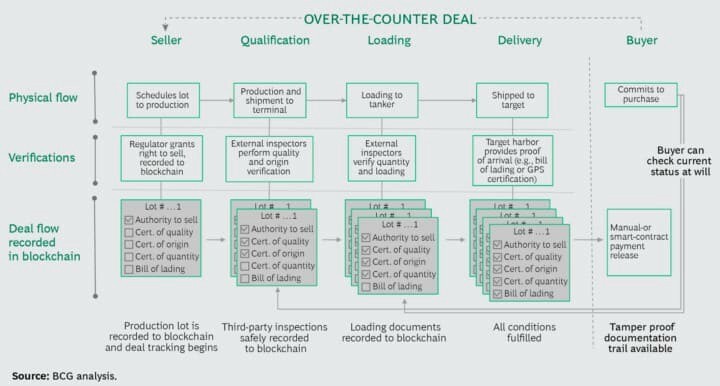 Blockchain technology allows a transparent record of complicated transactions, track goods, and reduce fraud, which seems to make it a natural fit for the commodity business. Blockchains’ decentralization guarantees tamperproof and complete transparency along the supply chain. This provision of trust and increase of efficiency is not to underestimate. Furthermore, the opportunities through fractional ownership of assets, by tokenization for Commodity or Security Token (Cryptocurrencies). In doing so, commodities can reach a broader investor base. Coin offerings allow companies to transform the ownership of assets or other rights into Blockchain-enabled virtual or tradable tokens. These can be sold upfront to finance investments. Also, liquidity on the secondary market could allow to cash out returns within a short period of time of investment. Worthwhile to mention, that commodities and assets are deemed to be less volatile investment means. Hence, hedging solutions in Crypto can be a less speculative investment than other digital assets. We can expect commodities to have a profound impact on the world’s financial, the blockchain, and digital currency sectors. Funding mining operations can also be a challenge. A project could offer commodities-backed token with profit/ revenue share models. They can also simply pledge the price ie. to an ounce of gold against the token and sell during fundraising at discount. A project could also provide a buy/ sell platform for farmers to be able to trade borderless, bankless via Blockchain and Crypto, solving currency challenges, fight inflation while empowering agriculture and trade in emerging markets. Iliya Zaki is the Head of Business Development and Marketing Officer for an STO Advisory Firm based in the U.S — Moonwhale Ventures. Blockchain Could Make Investing in Commodities Simpler was originally published in Hacker Noon on Medium, where people are continuing the conversation by highlighting and responding to this story.